My life changed in the span of twenty-four hours. My family had tried their best to make my world as familiar as possible yet something about their touch and words always felt wrong. Only in my dreams, in the arms of the amber-eyed stranger, I found solace. Until the Pakhan of Bratva showed up, claiming I belonged to him. Pakhan Rosa Giovani became mine. Only I’d failed to protect her from the evil neither of us expected. 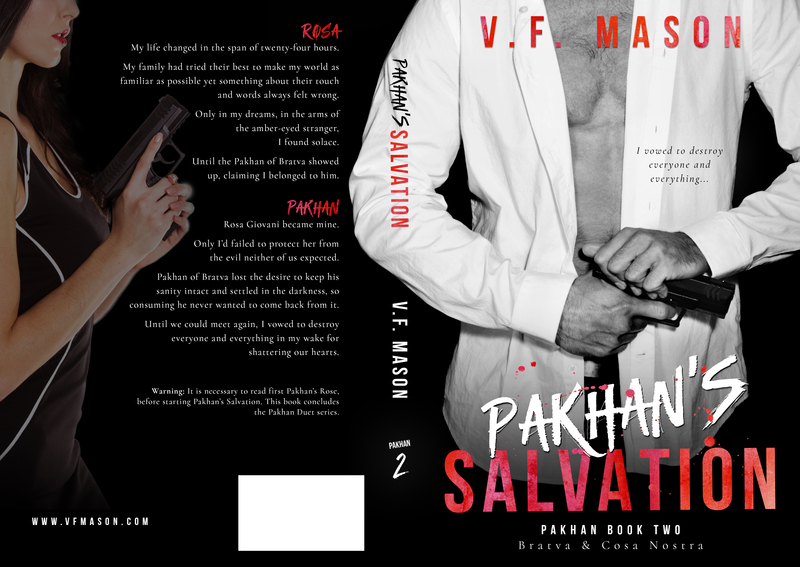 Pakhan of Bratva lost the desire to keep his sanity intact and settled in the darkness, so consuming he never wanted to come back from it. Until we could meet again, I vowed to destroy everyone and everything in my wake for shattering our hearts.